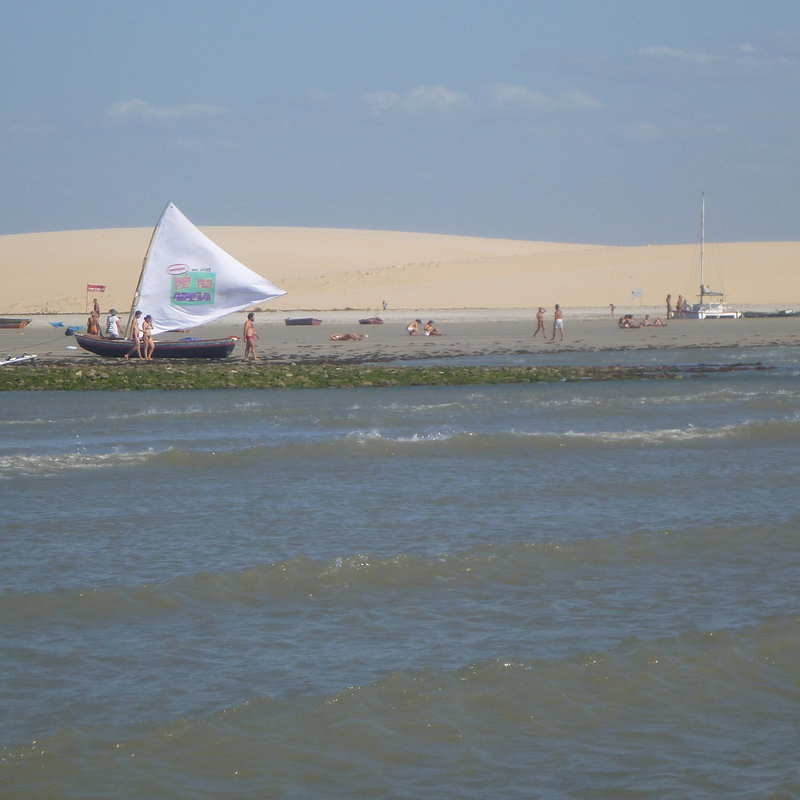 Why pick Jericoacoara as the destination? 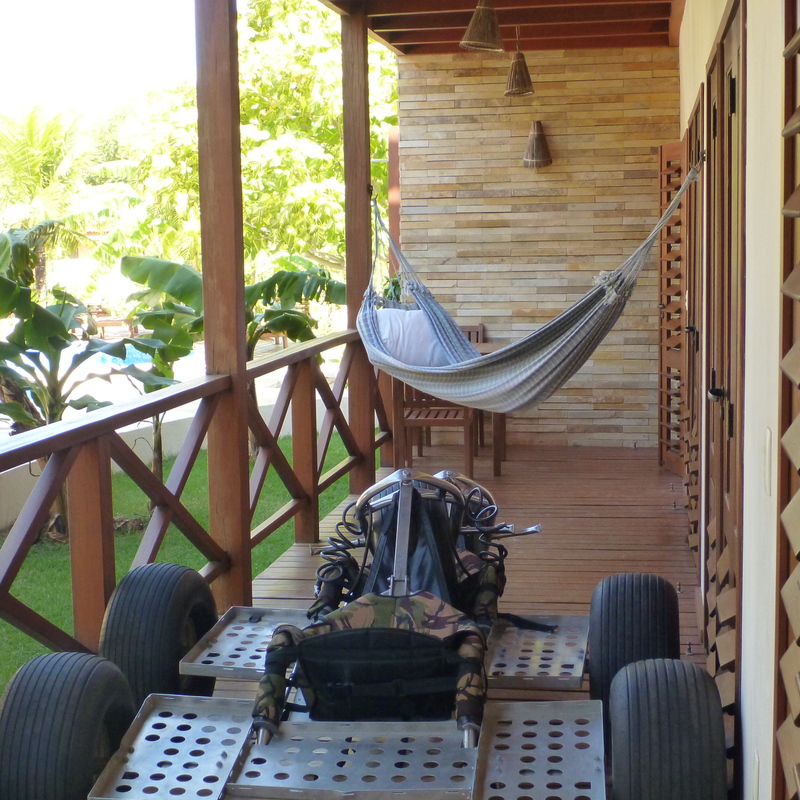 Finding out about Jericoacoara was the spark that made us decide to do an adventure in Brazil. 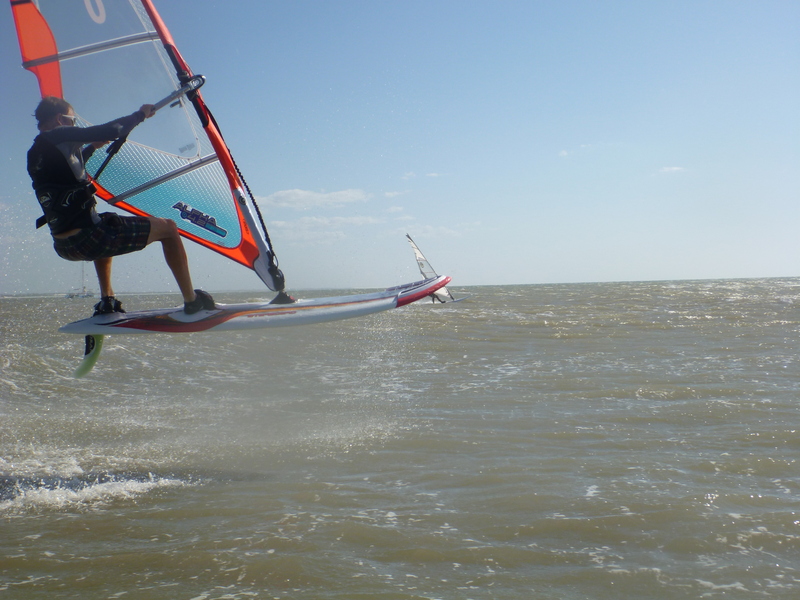 Fantastic wind, good waves and a chilled atmosphere are the hallmarks of Jericoacoara. It´s in a national park, and buildings have to be low rise. Jeri is surrounded by a string of huge dunes, one of the largest of which people walk up each night to watch the sunset and see locals practicing Capoeira, the Brazillian dance / martial art. But it´s the ideal water conditions that inspired Fabio Nobre to found Club Ventos here in the first place. 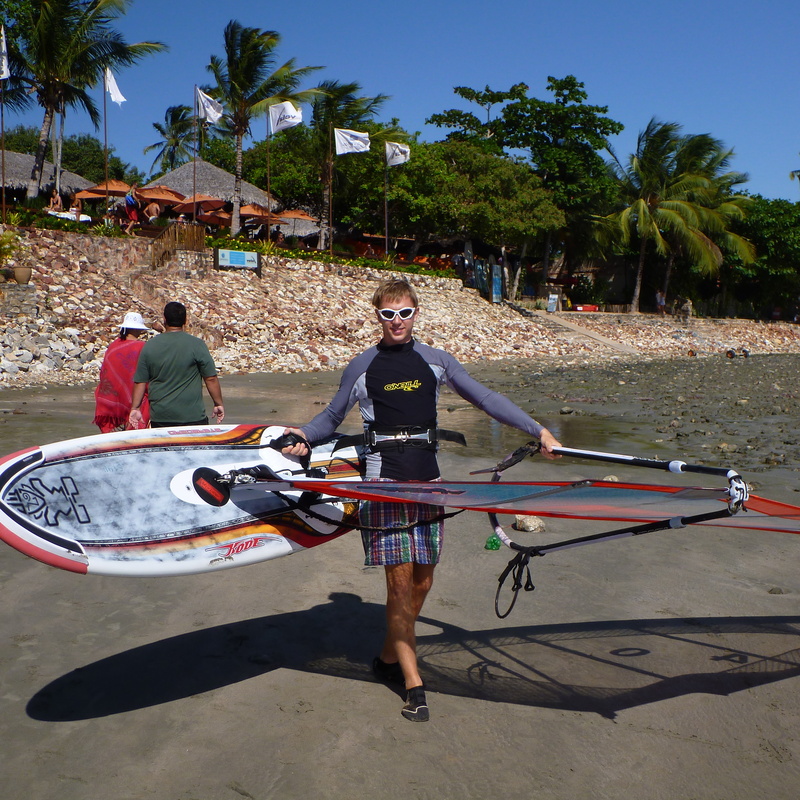 It´s paradise for anyone into wind / water sports, and Club Ventos has racks and racks of the latest gear, helpful staff, good food and nice atmosphere. 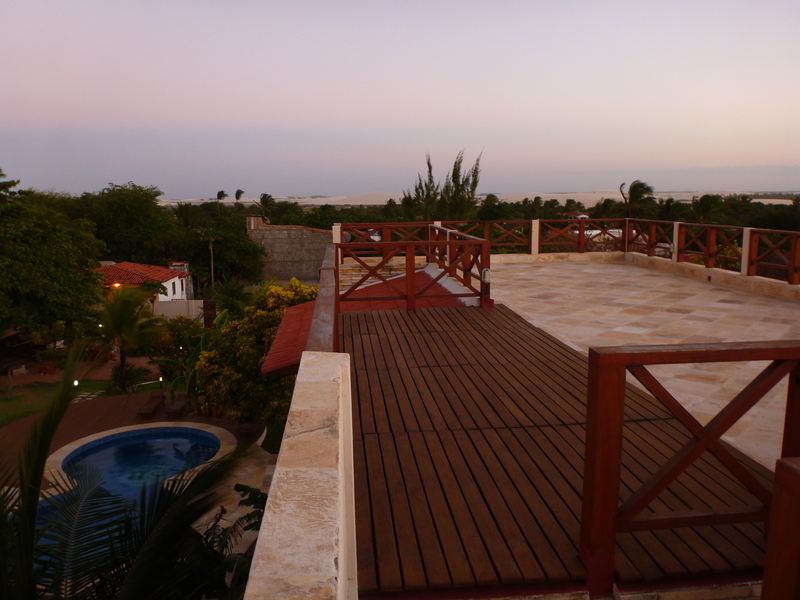 We were lucky enough to be staying in Serrote Breezes, which is a set of eight apartments in lush fruit gardens with swimming pool, rooftop terrace, and hammocks on each balcony, which we appreciated after our journey! Our balcony in Serrote Breezes Apartments, complete with kite buggies! 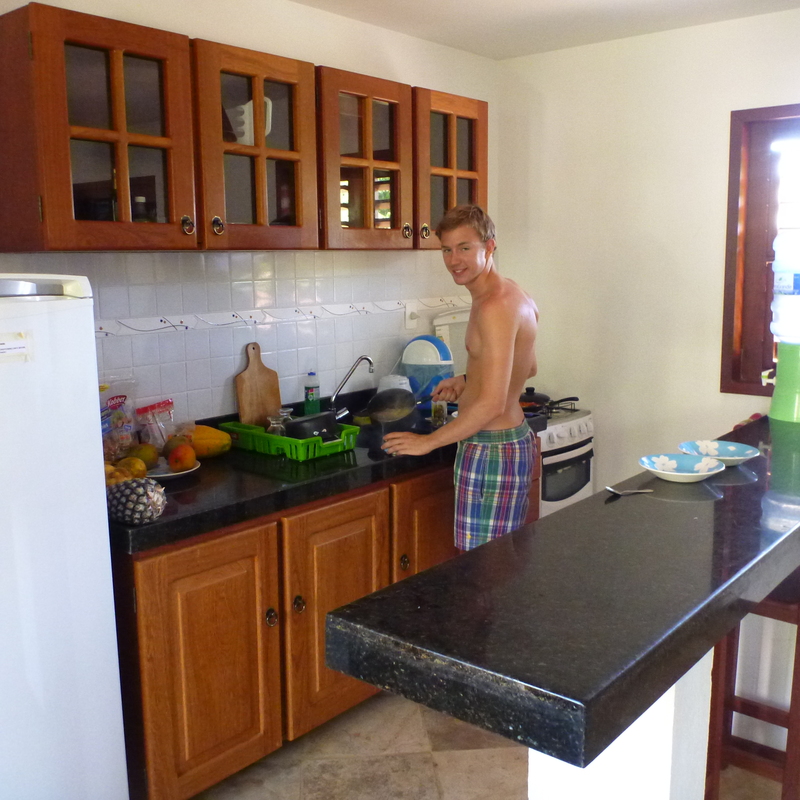 After three weeks of eating from roadside stalls and pousadas it was great to be able to buy and cook our own food in our apartment in Serrote Breezes, and we have been living off Açai smoothies, fruit and fresh fish for our whole time in Jericoacoara! 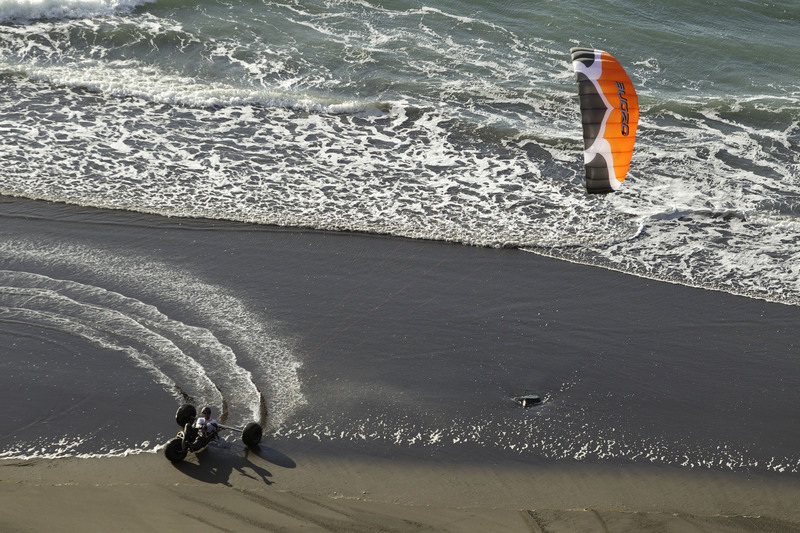 Why kite buggy 1000km in Brazil? Good question! At first we simply wanted to do some travelling, but what began as a simple bit of backpacking has developed into a much more exciting challenge.